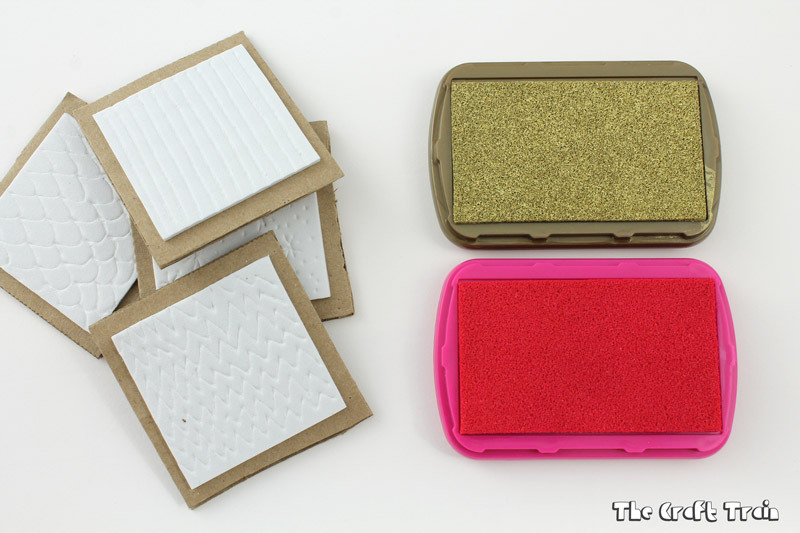 For a long time I’ve had a huge stack of craft foam in my supplies cupboard. In the past we’ve made super hero masks and foam mosaics with it, but I wanted to use it for something a bit different this time. 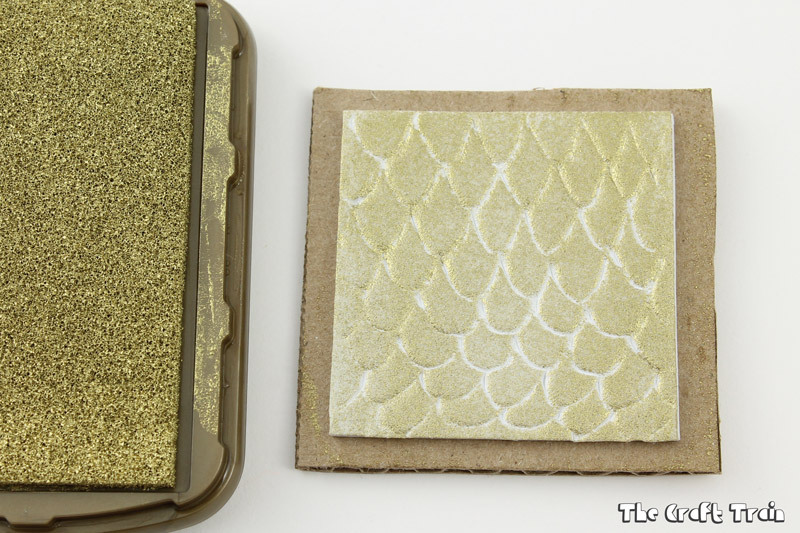 You can print with foam by using an embossing tool to press an image or pattern into it which is something I remember doing in art class in high school (a long time ago now!). 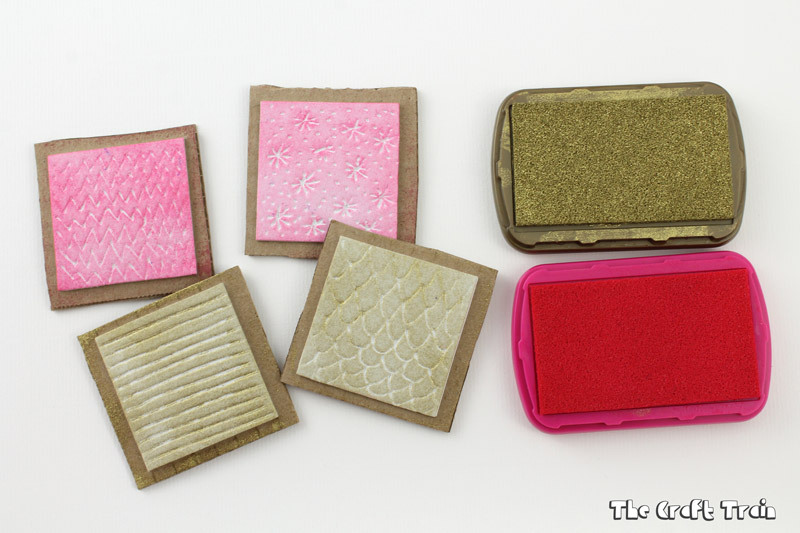 I decided to use this technique to make reusable stamps, but I just used a straightened out a bobby pin in place of an embossing tool because I didn’t have one on hand. If you do have one you’ll probably get a more even result than I have with the bobby pin. 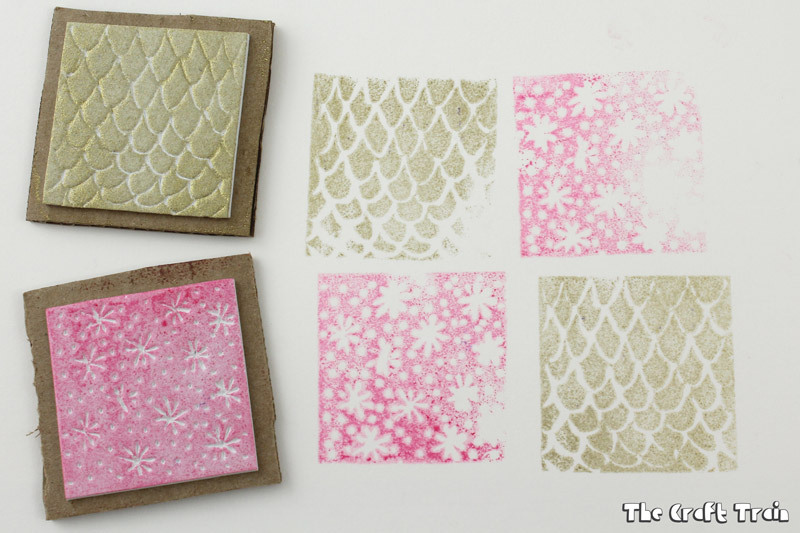 This would be a fun technique to use with kids, they could design their own stamps and use them to make prints as an art activity any time, or to make gift wrap and cards for special occasions. 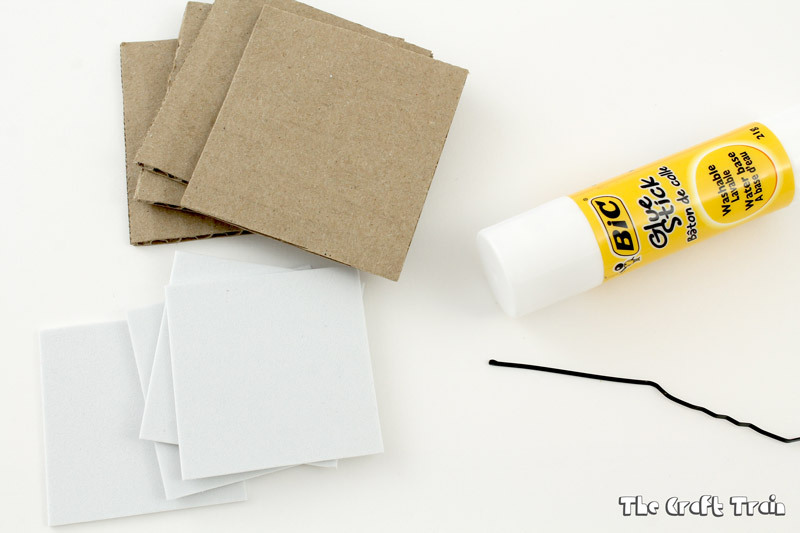 Use your bobby pin to emboss a pattern or design into your foam, then glue onto cardboard using your glue stick. I created four different stamps with simple patterns on each of them. 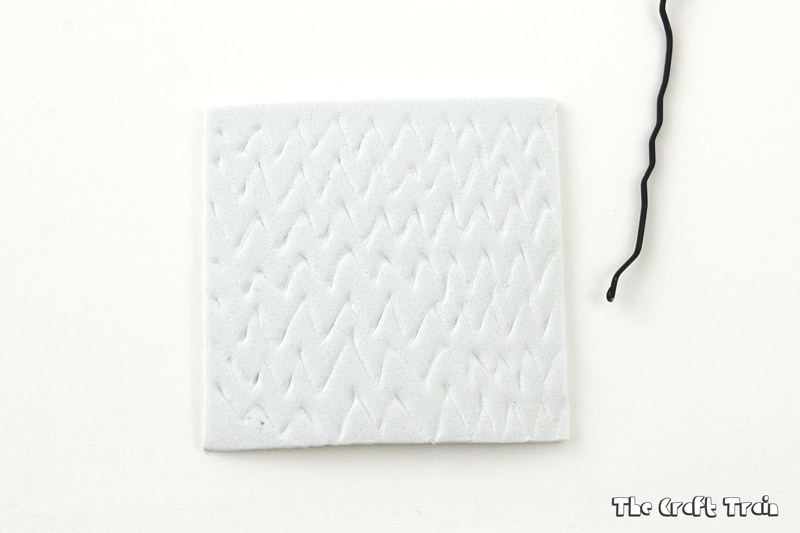 Press the stamp onto your ink pad. I found that I really needed to press and rub on the back of the stamp to get it inked up properly so if you have a young child doing the stamping you might find paint and a sponge roller a better choice for them because it would be quicker and easier. 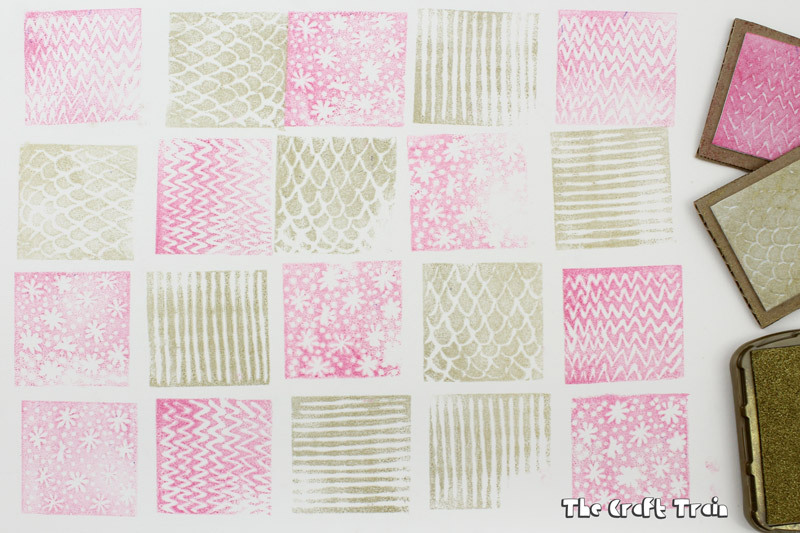 Stamp out onto paper creating a design with your different patterns and ink colours. I only used two colours for mine. 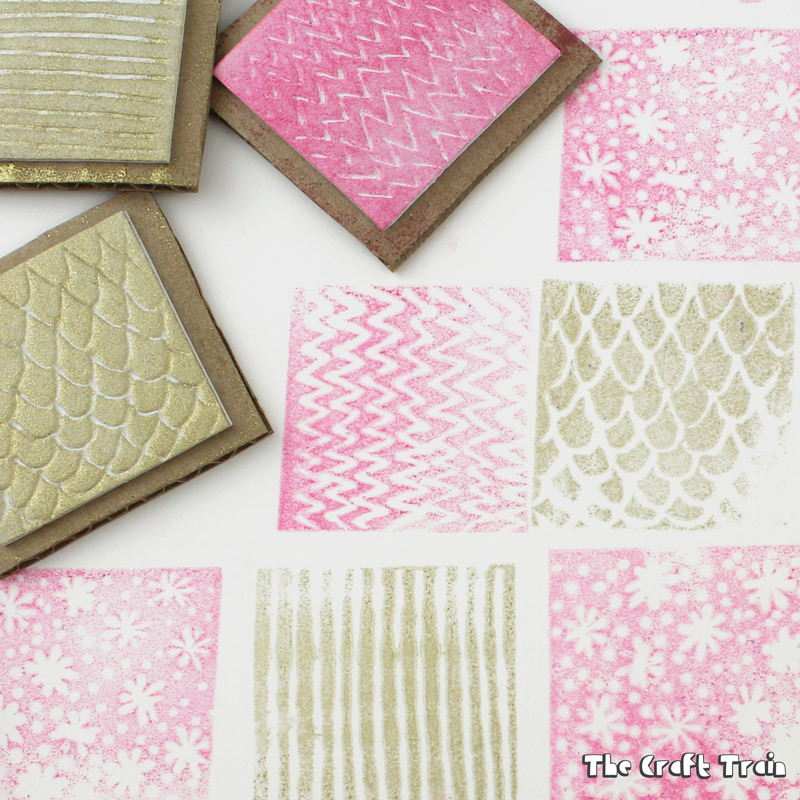 Try stamping in different directions using the same texture to create interesting effects. 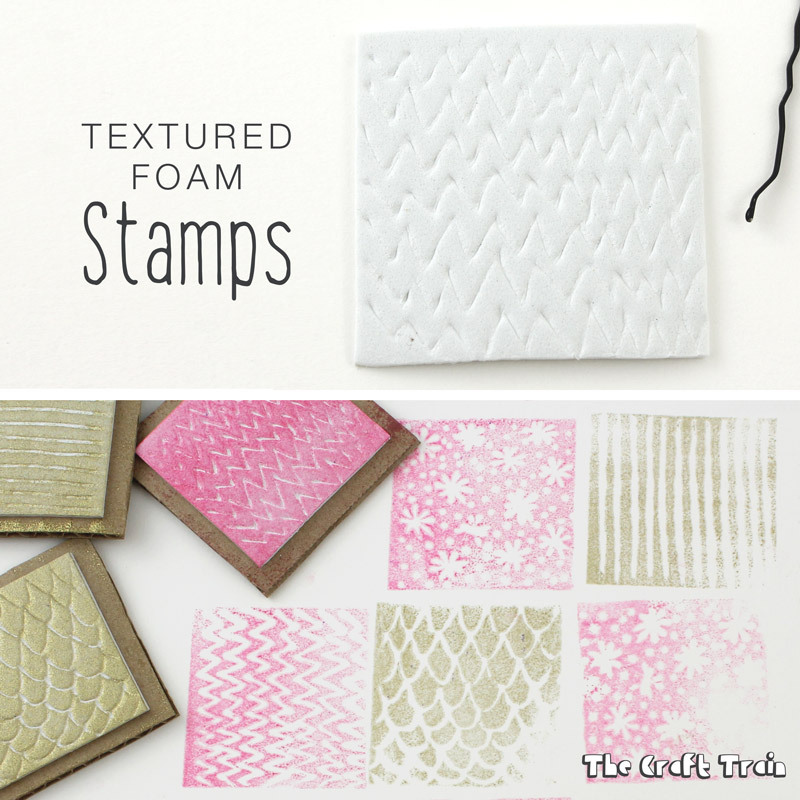 This is quick and easy to put together and there are limitless design options with creating your stamps. I’m going to put away this sheet I’ve made to use as gift wrap in the future. 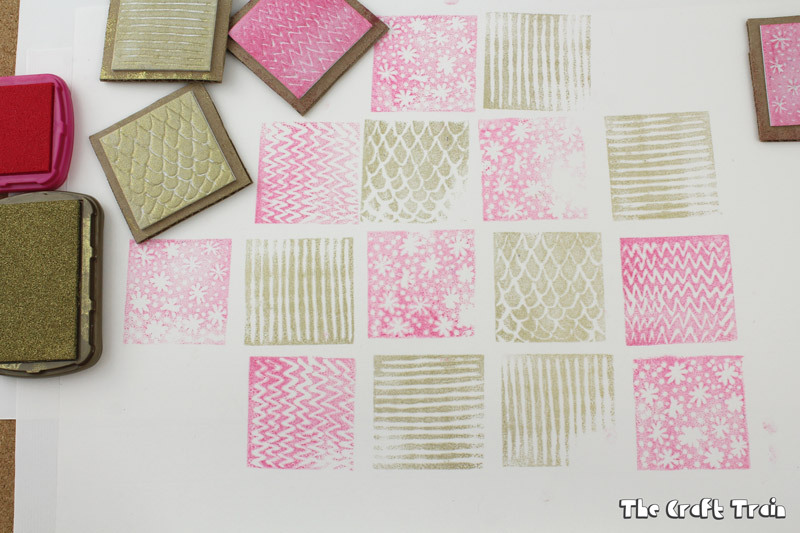 • Have you ever tried making traditional mosaic art? This is our beginner attempt at it.